Hello Monday! I hope your weekend was the best. 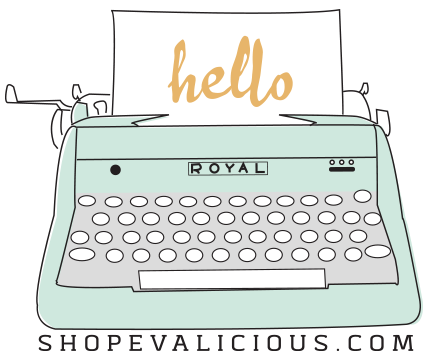 I am here with my very last Evalicious blog post since my term is coming to an end. Wow, this team has been so awesome and the products are incredible. Thank you Eve for having me! I had the best of intentions with my tutorial today, but a wrench was thrown into it and sadly, I have no video. Boo. I tried and it seemed to just blow up at me. But I have a fun page all the same! I am a big fan of rainbows. I love all the color. And the feeling that they give me. They are just happy! 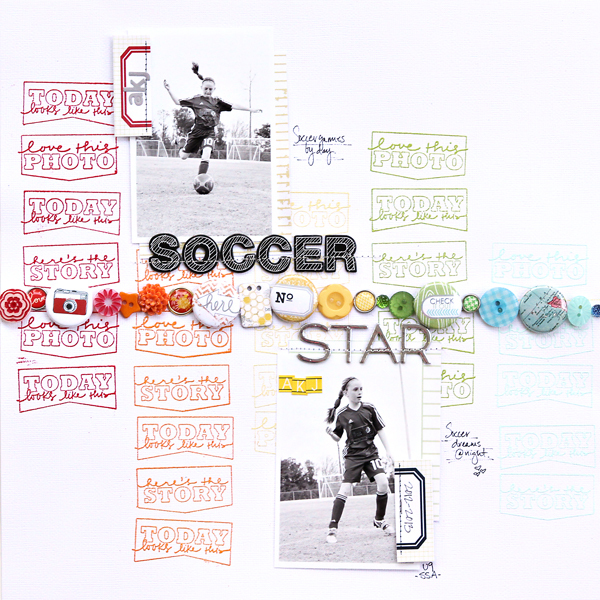 So I wanted to create a rainbow look using the new banner journal prompt stamps. I love the shapes of these stamps. And the font. They are just cool. I wanted to have ore colors on my page, but I ran out of space. Oh well. These 5 colors rock. I stamped the background in my rainbow pattern. Then I pulled out badges (the blue map one was my first Evalicious purchase form FOREVER ago! 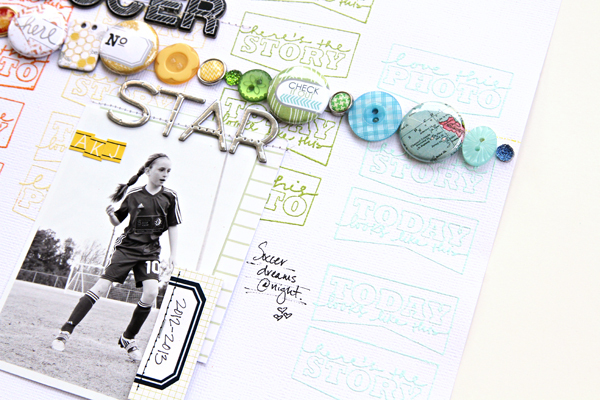 ), buttons, and brads and continued the rainbow look through the center. 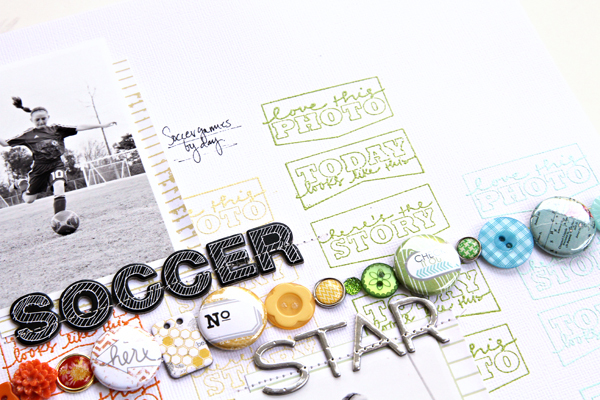 I chose black and white letters for the word "soccer" in the title to be more like a soccer ball and the silver star ones to match the word "star". I know, my reasoning is deep, right? Lol. But I love the look. This page came together so fast. 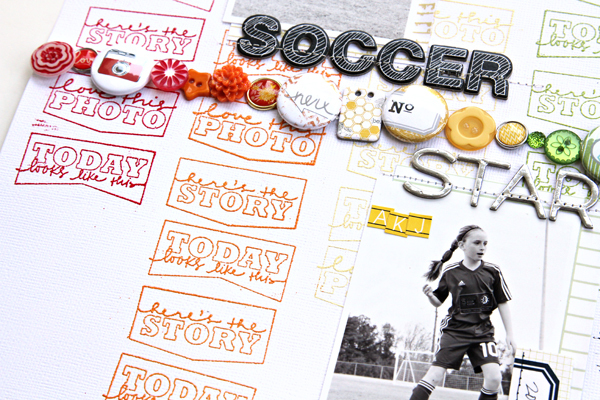 And my girl is thrilled because she has a bright and fun soccer page in her book. Thanks for looking at my page! Have a great day!